Even locals might not be able to point to Chicago’s West Town on a map. The neighborhood’s indistinct boundaries (roughly surrounded by Wicker Park to the north, Ukrainian Village to the west, and the West Loop to the south) might cause some confusion, but they also make for a particularly diverse community. Since then, Russian Jews, Italians, Ukrainians, Puerto Ricans, and Mexicans have all made West Town home, adding to the neighborhood with restaurants, museums, and churches reflecting their cultures. If you’ve got 24 hours in Chicago, you’d be hard-pressed to find a better place to explore than West Town. 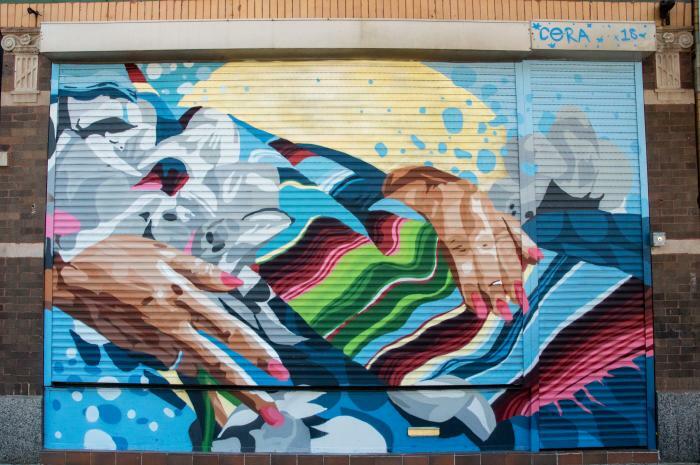 It’s a neighborhood that’s constantly renewing itself, while still honoring its historic roots. That means there’s always plenty to see, do, and eat — emphasis on eat. After two years of living in the neighborhood, I’m still trying new places and have yet to go wrong. Here’s my roundup of the best things to do and eat while in Chicago’s West Town neighborhood. 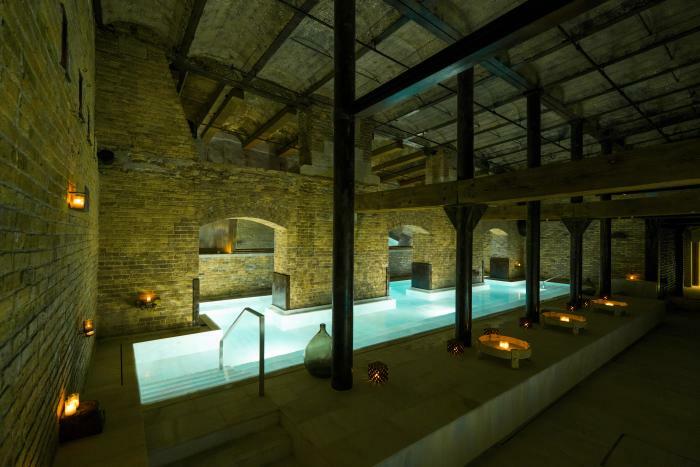 If you’re on a mission to relax, the AIRE ancient baths offer rejuvenating spa experiences in a historic, candlelit building. Inspired by the tradition of open air baths in ancient Greek, Roman, and Ottoman societies, AIRE creates an environment that emphasizes old world tranquility with an urban vibe. For something a little more active, try a tour of Ignite Glass Studios just off of Grand Avenue. 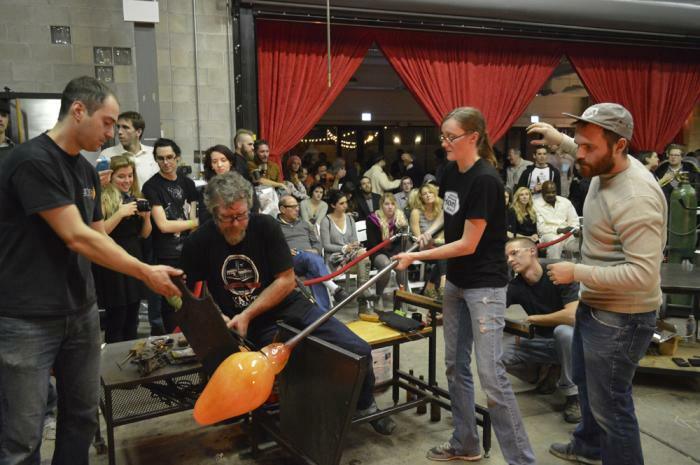 The public gallery is full of one-of-a-kind glass pieces, and if you visit on a Sunday afternoon between 2 – 4 p.m., you can see a live glass blowing demonstration. Classes are available to make your own piece, just make sure to register online in advance. 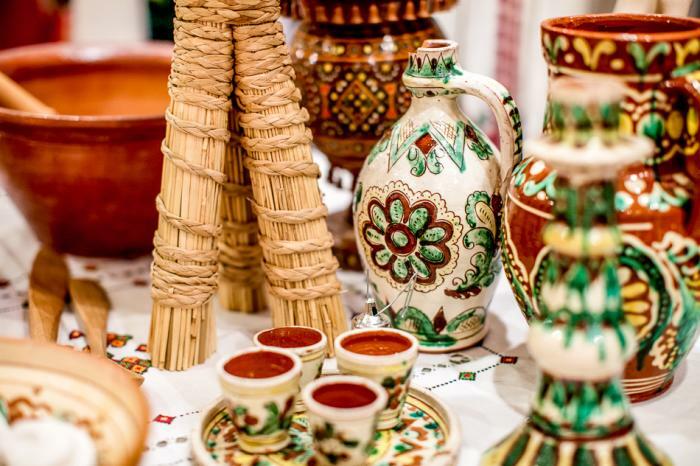 Immerse yourself in history and culture at the Ukrainian National Museum. Exhibits include a folk art collection with more than 10,000 objects, a fine arts gallery, WWI memorabilia, and more. The Ukrainian Institute of Modern Art is also nearby, in case you haven’t gotten your fill of Eastern European masterpieces yet. Looking for the latest and greatest? Two of the neighborhood’s newest additions are just a couple blocks from one another and are worth it for the interiors alone. Bar Biscay does Basque tapas and larger plates with killer cocktails in a modern dining room that’s lit with playful pinks, blues, and teals. And German beerhall Funkenhausen is uber trendy — like if Chloe Sevigny were a beerhall, Funkenhausen is what she’d look like. Chicago Avenue is my recommended breakfast thoroughfare. There you’ll find Hoosier Mama Pie Company, a tiny but delightful little bakery serving pastries and local Intelligentsia coffee. If you want to get a taste of the neighborhood’s cultural roots, head to Kasia’s Deli for old-school Polish fare or Ann’s Bakery and Deli for traditional pastries and breads. If it’s the weekend, head east on Chicago and put your name in for a New Mexican brunch at Flo. Like to kick back with a beer in the morning? Forbidden Root is Chicago’s first botanic brewery, turning out unique flavors like strawberry basil, wildflower pale ale, and sparkling rosé ale. The food is a lighter, upscale take on brewpub fare, so you can have your beer, but skip the post-brunch coma. Let’s say you’re feeling Italian. Great choice; Chicago does it well. Piccolo Sogno is a lovely white-tablecloth spot that’s elegant without being stuffy. 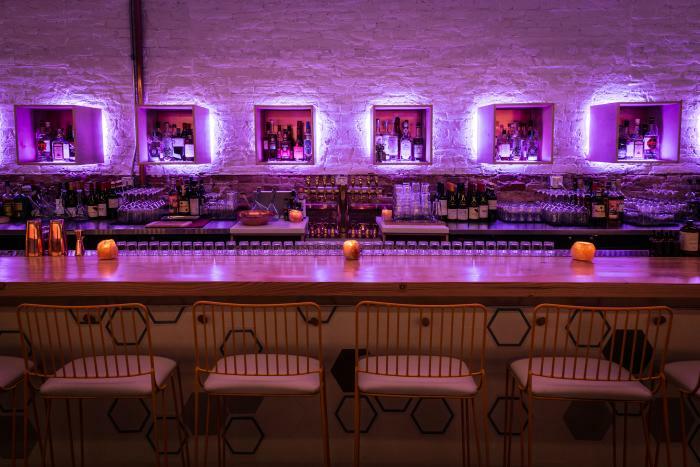 The wine menu is 100 percent Italian and a particular point of pride for the owners. 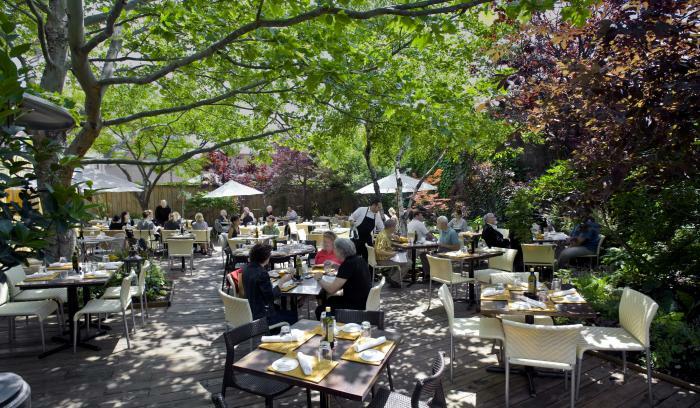 Also good: a tavola, which feels secret and cozy with a perfect back patio to enjoy when the weather’s nice. Italian, Basque and German not enough variety for you? Why not balance out a meat-heavy midday with a veggie-forward dinner? 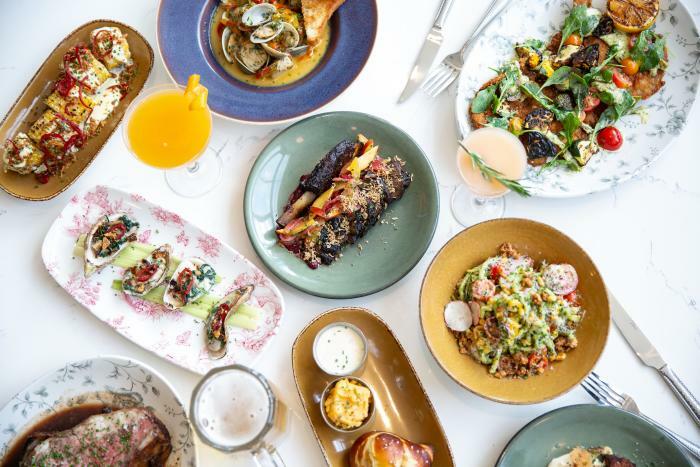 Clever Rabbit provides, offering a menu that showcases produce while giving diners an ideal spot for people watching along Division Street — the perfect way to wrap up an eclectic day in West Town.